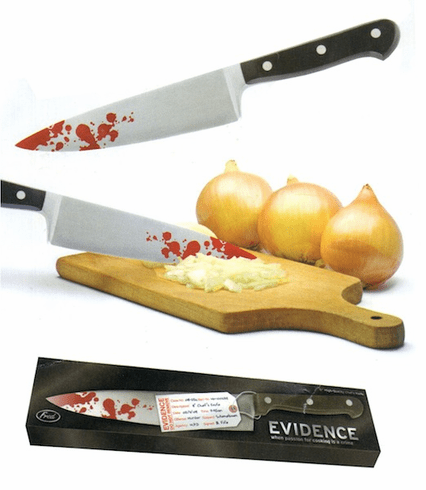 FORENSICS FOR THE KITCHEN. Do things sometimes get a little dramatic in your kitchen? Then here's the perfect accessory to the crime - an 8" stainless chef's knife with a fired-on, food-safe design that's right out of a CSI episode. Individual gift box complete with evidence tag. This is a real chef's knife. It's sharp. Not a toy.